This past summer I got the opportunity to fly to Nome and help out with some fieldwork there. Incredible what roads you can take once you have remote fieldwork experience and an eye for boreal and arctic vegetation. I’ve already written a post about Nome, and mainly the 4th of July celebration. 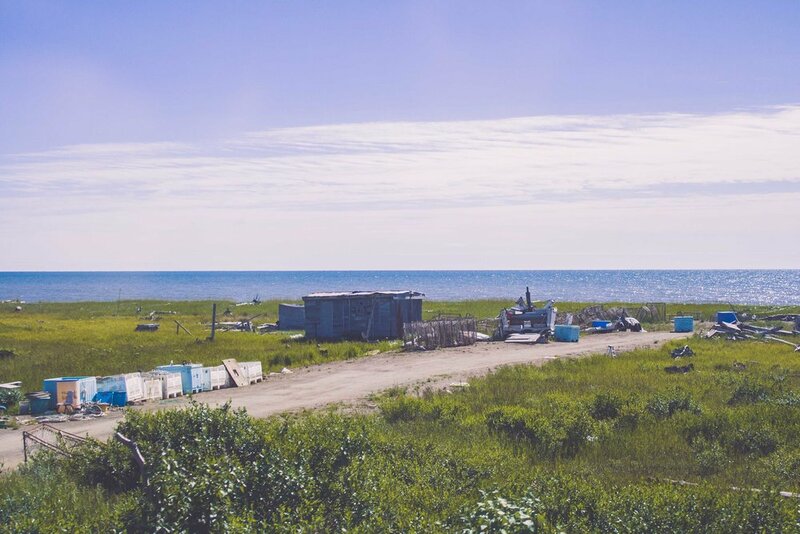 Nome is a very special place, laying in the far west of Alaska with no roads leading to the small community of about 4000 people. This is not an unusual setting, many communities in Alaska can only be reached by plane. With only about 200 miles to the mainland of Russia, that is as close as I have ever been to Russia I think. The history of Nome starts with the three lucky Swedes, well, they were in fact two Swedes and one Norwegian, but same same..or? During the goldrush Alaska became a popular destination when word spread about all the gold that could be found in this remote location of the US. Alaska has not been a part of the US for that long, well everything is relative right? On March 30th 1867 the US bought Alaska from Russia, paying only 7.2 million dollar. If you have visited some of the more southern coastal cities of Alaska you might have seen many of the Russian Orthodox churches and other cultural remnants of the Russian influence. Well, maybe remnants is the wrong word to use, because there is a strong influence still in these small communities on the coast. 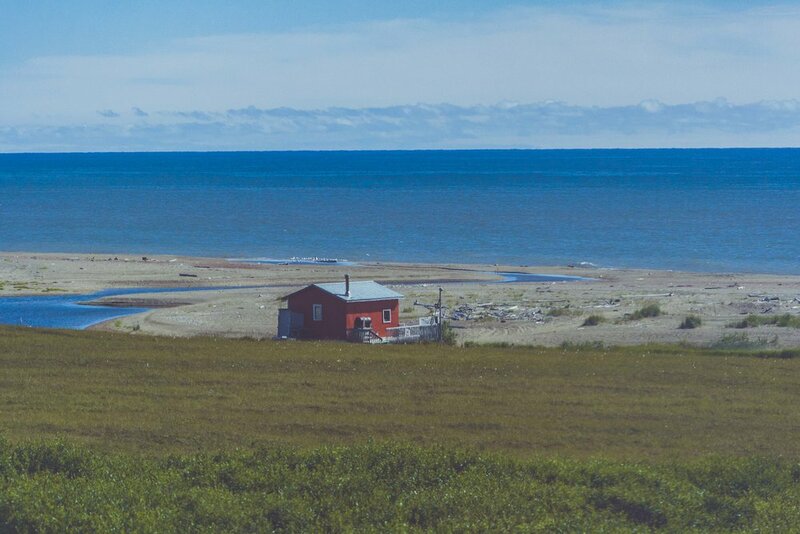 These coastal villages were formed long before the US bought Alaska. Those remote territories have been called the Siberia of Siberia by some. The history of Alaska goes farther back than that, but that is a whole different story. The Klondike gold rush started in 1896 when gold was discovered in the remote areas of the Yukon Territory, bordering to Alaska to the east, thousands of people travelled there. One of the most famous photos (that is also sold as a postcard) is a photo of the Chilkoot Trail that goes through the Chilkoot Pass, a pass that many of the gold seekers had to hike through, choosing the Golden Stairs or the Peterson routes. It is absolutely amazing that these people actually managed to hike these mountains in sub zero temperatures (although, many did not make it) and still come out alive. Yukon Territory is still extremely remote and sparsely populated. The gold rush in Klondike did not last that long, and soon word spread about Nome. In 1898 Jafet Lindberg, Erik Lindblom and John Brynteson struck gold on Anvil Creek. Once the word spread the tiny place of Anvil Creek suddenly had more than 10,000 people living there, and when more gold was found the real Bonanza was on. Fires and storms altered the city and what is found there now, is far from what once was there. 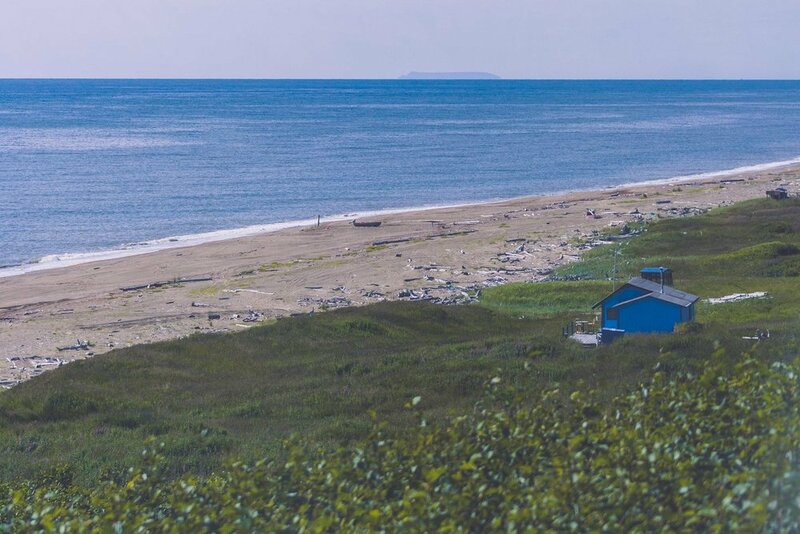 Since the city was built along the Anvil Creek it was named Anvil City, something that fast was changed, to Nome, since Nome river and Cape Nome was nearby and the post office did not want any confusion with the town of Anvik in the Yukon-Koyukuk area of Alaska. Most cities and areas in Alaska were named after the people that found or founded it, but the name Nome was originally a mistake. An officer had in the past on a map marked the larger area to the west with “? Name” since it had not been identified. Later on when the map was reproduced, it was thought that the ? was a C, and the a in Name was an O, and so Cape Nome was born and the rest is history. 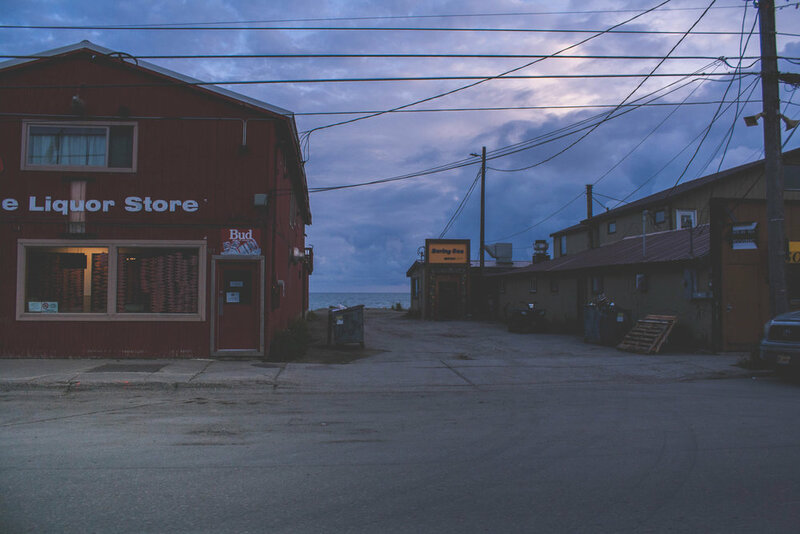 Downtown Nome is front street, and it that lays along the ocean. 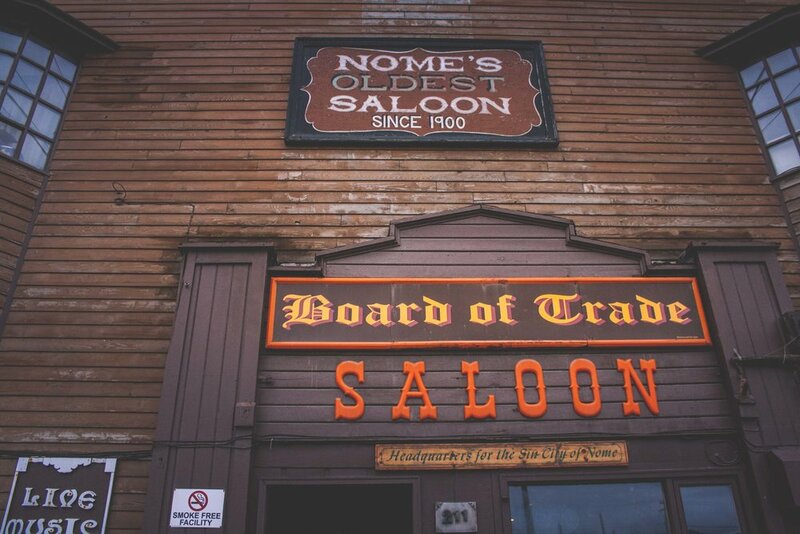 Here you can find the saloon and several different liquor stores. If you want to eat Korean, Vietnamese, Chinese or Japanese food there are several different restaurants to choose between. Many restaurants also serve a wide array of different foods, ranging from American to Vietnamese. I still haven’t figured out why there is such a large influence of Asian food. Front street is not that long and if you zoom into Nome on google maps you will see how small the town really is. After all there are only 4000 people living here. If you ventured out from front street you will find the larger grocery stores. You can find almost anything in Nome, but it comes with a price. There is a reason why there was such a large hiatus when Sams Club (a bulk size grocery store) shut down in Alaska. Many people from these villages do monthly or quarterly trips to Sams Club, and depend on their shelf food from the store, because the prices in the regular store in the village reflects the cost of shipping (and is outrageous). Of course, the layout of Nome is different now from what it was. Fires went through in the past and even more recently, and the ocean has also taken part of the original city during fierce storms in the past. The Last Frontier - Oil, Mountains and Freedom? 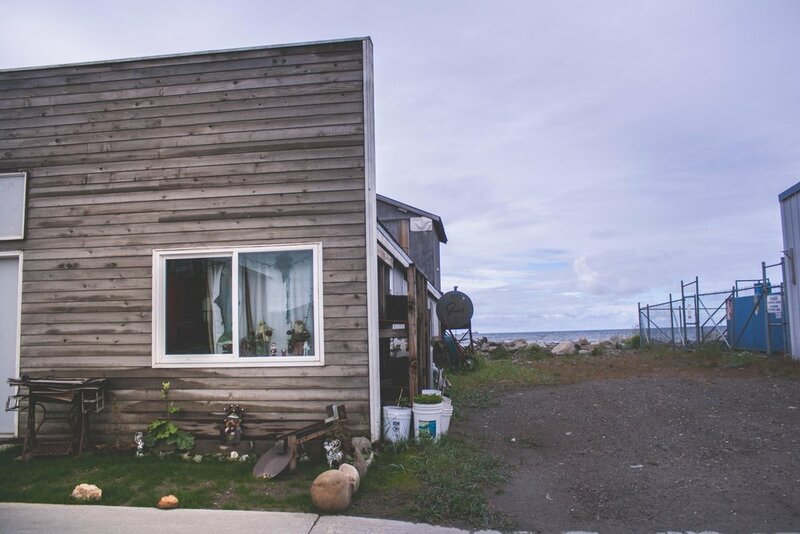 Just like other cities and villages in Alaska, many heat their home with oil, they have a Toyo or alike and you can see the drum outside the buildings that holds a winters worth of heat. But depending on how well insulated the houses are, the house will keep the heat, or leak it like nobodies business. I’ve had friends who literally could see through the walls of their cabin in Fairbanks, and went through several hundres of gallons oil in one winter, just because the cabin was so leaky. 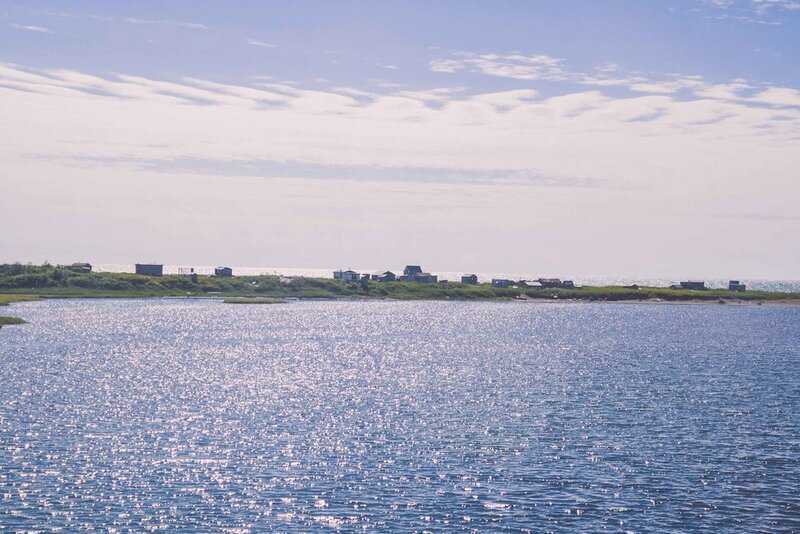 The city of Nome is small, and as soon as you leave the “downtown” your eyes will rest on the mountains and muskox, instead of the ocean and Russia. There is a reason why Alaska is called “The Last Frontier”. If you want freedom, solitude and test your survival skills you can move to Alaska and settle down in a cabin in the woods, or in the mountains. Living like that is not for the light hearted, the winters are brutal with the cold and the darkness. Even though those summer nights last forever, and fall with it’s magical colors, and winter with endless skiing and northern light, come spring and death is knocking on your door. There is a reason why the suicide rate in Alaska is one of the highest in the US right under Montana and Wyoming, especially in the villages and the native population, along with domestic violence. Even though the darkness in itself is not necessarily what triggers the suicides (suicides in Alaska spans the whole year with no real seasonal pattern), it surely doesn’t help. Life in Alaska is tough, for everyone. I would be lying if I said that I’d never been depressed while living in Alaska. I can say that I have gotten a handful of emails from the University of Alaska Fairbanks through the years, letting other students/faculty/staff know that a suicide has occurred on campus. This past fall I read about a man who lived not far from where I lived in Fairbanks, he had like many other people in Alaska, withdrawn from society. They found him this fall, dead from suicide, a suicide that had happened several years ago. Call 911 for immediate emergency intervention. Call 877-266-HELP (4357) for the 24/7 Alaska Careline. Go to the closest hospital or medical facility. Text “4help” to 839863 Tuesday-Saturday 3pm-11pm. Even in the darkness though, Alaska truly is beautiful. I think that is what captures people. Alaska is captivating, like a spell that never breaks. You’ll get spellbound pretty fast, and once that happens it’s hard to go back. 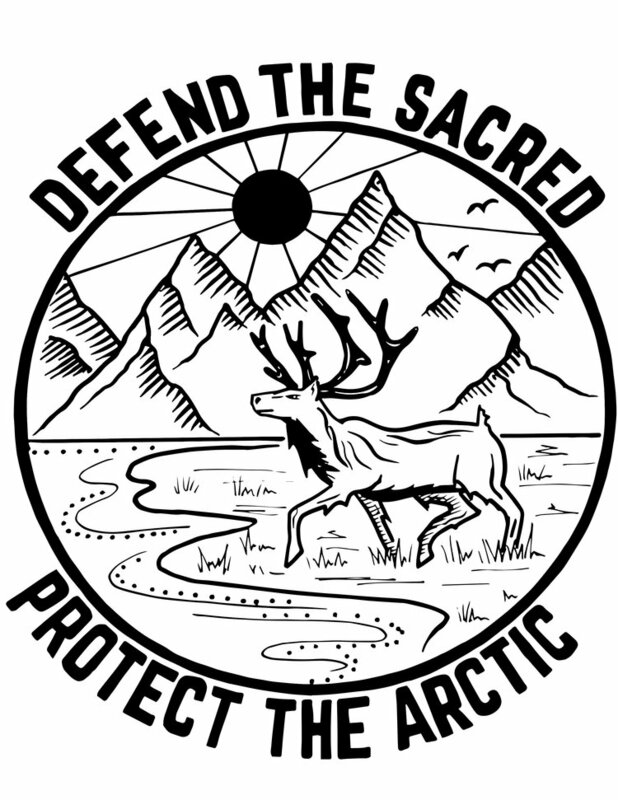 The boreal forest in the interior, the glaciers that touches the ocean in the south, the tundra to the west and north and all the mountains in both Alaska and Brooks Range. It was kind of surreal to drive off into the mountains every day for nearly two weeks. I missed it. That view of the mountains. Flying into Anchortown and later Nome I realized I’d forgotten how beautiful Alaska truly is. I should know, I lived there. But photos of this magical place doesn’t do it justice. Reality is always going to be so much better. Driving the roads out to the field site we saw all of these tiny houses, randomly laid out across the landscape. It’s quite remarkable when you see it. You watch those tiny houses with a backdrop of huge mountains. It makes you wonder, who lives there? When did they move there? Do they use these cabins year round? I’ll write another blogpost about that later, and until then you can rest your eyes on these muskoxen and mountains below! Posted on December 7, 2018 by Ann Rumbleinthearctic and filed under Alaska, Flashback Friday, The great wide open and tagged History Nome Alaska Fieldwork Arctic Ocean Russia Orthodox Goldrush Three Lucky Swedes 2018 Adventure.